New Wave Domesticity: Guest Post : Support a Great Cause! Sawadee Kha from Phuket, Thailand! I'm having an amazing adventure in Thailand. I've been here for almost two weeks and I am so excited to share all of my adventures with you all when I get back. For now though, I am delighted that Amanda is sharing some really important information about a cause that is near to my heart. My mother in law was diagnosed with MS a few years ago and it's a really important cause that I am so inspired by Amanda's words and commitment to it! 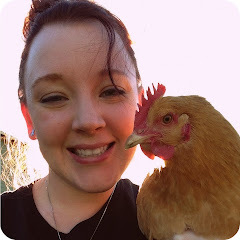 Be sure to check out her awesome blog - Chicky Stitches as well! "Multiple sclerosis is an unpredictable, often disabling, disease of the central nervous system that interrupts the flow of information within the brain, and between the brain and body. Millions of people are affected by MS and the challenges of living with its unpredictable symptoms, which range from numbness and tingling to blindness and paralysis. The progress, severity and specific symptoms of MS in any one person cannot yet be predicted, but advances in research and treatment are moving us closer to a world free of MS."
"The National MS Society is a collective of passionate individuals who want to do something about MS now—to move together toward a world free of multiple sclerosis. MS stops people from moving. We exist to make sure it doesn't. We help each person address the challenges of living with MS through our 50-state network of chapters. 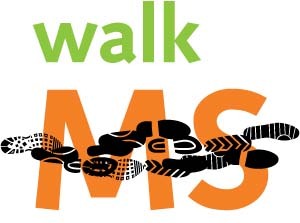 The Society helps people affected by MS by funding cutting-edge research, driving change through advocacy, facilitating professional education, and providing programs and services that help people with MS and their families move their lives forward." There are currently over 2 million people living with MS in the world today. I am sharing this with you today to ask for your help. Our team has set a goal to raise $1,000 to help find a cure. You view our team page here. Follow that link or click the image below to make a donation today. Everything helps! No amount is too small. You can donate anonymously if you like, but if you wish to leave your name, I will personally send you a small handmade thank you gift to show my appreciation. Also, any sales made through my Etsy shop this month will go directly towards our team fundraiser. Not just 10%, or even 50%, but the ENTIRE purchase price. You could have a brand new wallet for yourself, and still be donating to a great cause! Make sure you leave a little note when you check out, or send me an email at anelson726@outlook.com, so I know it's you! I don't want anyone to miss out on their Thank You gift! And thank you in advance for helping out with such an important cause.